Final Fantasy XIII was officially announced for the Playstation 3 at the Electronic Entertainment Expo (E3) in Los Angeles yesterday. The intial trailer showed a very futuristic setting, one that we have never seen in a Final Fantasy game before, and a female protagonist (who could possible be the main character) fighting a bunch of guards. Her weapon was a sort of "Gunblade" and no, not like Squall's, this one was a gun that transformed into a blade. The girl fought a bit like Yuna, jumping around and pumping the bad guys full of lead. The battle system seems very "active" and fluid as there was a mass of enemies on screen and it looked like it went into a cutscene and back out of it with no load times. The game looks to be a true testement to the Playstation 3's power. Not much else is known about the game yet. But we will be keeping you informed! Now thats not all I got to say, as there was one last very big surprise announced. 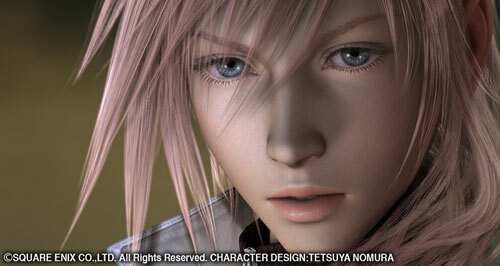 Final Fantasy XIII will not be just "one" game. It will almost be a franchise in itself. As there is a prequel and sequel game ALREADY announced, although not direct sequels, they will be in the same universe as the main game. The prequel Final Fantasy Agito XIII will be for mobiles, and the sequel Final Fantasy VERSUS XIII will be for the Playstation 3. Versus XIII will be an action game developed by the Kingdom Hearts team. A tale of souls from a futuristic civilization illuminated by the Light of the Crystal. 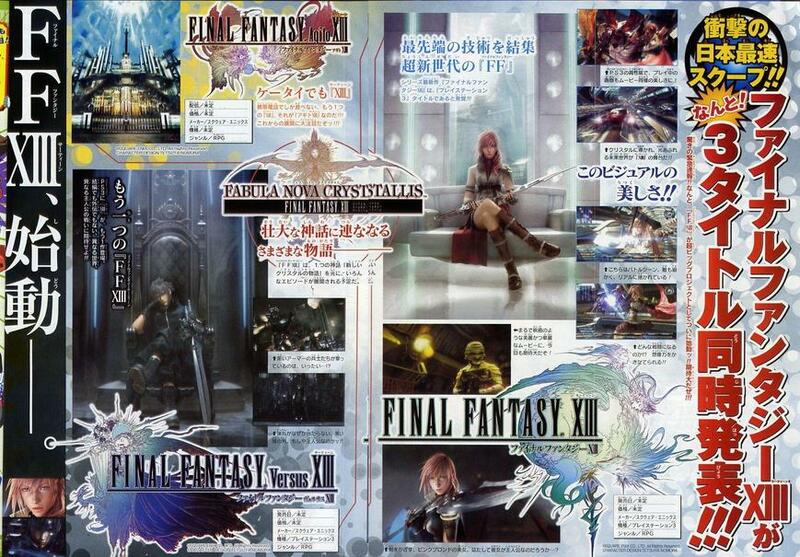 Final Fantasy XIII will run on the "White Engine", a propietary engine built for Square Enix's next-gen games. The game was originally planned for the PlayStation 2 but was later moved to the PS3 after the development team discovered the power of the platform. FFXIII on Wiki Pretty sure about this but I have not personally seen the information.